It is a well-known fact that events do bring added exposure to your business. However, if used wisely events with the use of key note speaking and social media, can also help you increase your PR & Profits. I have watched countless entrepreneurs fighting hard to get exposure, new start-ups finding their feet in business and even well-established businesses not knowing how to get into new areas because they are not using this one trick. We launched the Event of Champions® in early 2016 with dinner at the Ritz London with special guests and speakers on day 1, followed by a day of hands on training from well-known presenters on day 2 and a mastermind session on day 3. I had an instant boost to my own status plus the fast traction created by each speaker’s ability to be genuinely and naturally promoted, where appropriate, to the connections of each of the others. When you promote the event to the lists of speakers attending, their lists now become your list as well, for continued opt-in contact. I teach through my sales training that people buy from people they feel they Know, Like, Trust and Support. Particularly for a start-up entrepreneur or company, when others see you sharing a stage or an event with others who are credible leaders and authorities, the halo now extends to you also (and is even magnified if you are the party who conceived and runs the event). As you are the host of an event, you can immediately go from being not just “an” expert, but “the” expert. Organising and heading events gives you a professional edge. Following the launch of Event of Champions in 2015 I was invited to attend two events in the Bahamas, where I spoke on ‘How to Monetise Who You Are to a 6-7 Figure Income’ and ‘If It’s Not Making Money, It’s Not Making Sense’ it also resulted in interviews on national television, radio and written articles throughout that region. From then on, I have spoken in Barbados, Canada, throughout the UK, Europe and the USA including SXSW and now the Event of Champions® is expanding into 10 countries: Trinidad, Dubai, Australia, Canada, Barbados, Las Vegas USA, Bali, London, Malaysia & Europe. From running events, I have since been featured in Forbes, BBC Business News, Canada’s B2B Business News and PURSUIT – Business Men’s Magazine & SKY TV. This has resulted in PR awareness and increased high-end revenue throughout the world. As external resources come to present at your events, you learn first-hand what they do well in their businesses that could positively impact your future as well. Our expert speakers usually spend quality time together and often plan possible collaborations and joint ventures before, during and after the event. This is a huge opportunity to meet other leaders in a setting you would not have otherwise had. Increased business begins six months prior to any event and gives publications, programs, bloggers and social media influencers a reason to cover you before, during and after your program. Inviting press to come and attend your event as media also ensures additional coverage for you and your program (and even more compelling reasons for expert speakers and trainers to participate and attend). One event I spoke at for just 10 minutes in the USA, led to myriad other invitations for speaking, partnerships and client coaching engagements in addition to expanding social media following many fold. 1. You should always do the numbers to be sure running an event (or traveling to speak or exhibit at someone else’s event) will add up. 2. Master the requirements of managing event budgets and logistics well, entrepreneurs who go into the event arena unprepared risk cancelled events that were unable to obtain necessary sponsorship and attendance (a PR and monetary disaster). 3. 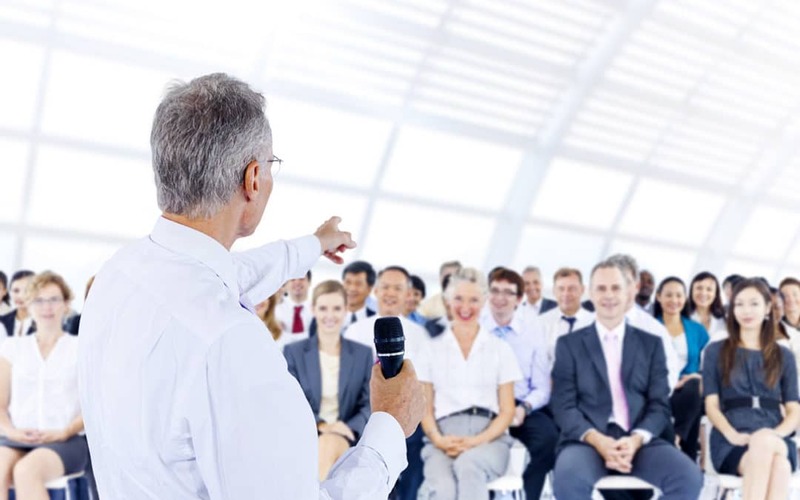 Event organizers are also held responsible by attendees for the quality of speakers, and must become experts on the fly at dealing with issues ranging from faulty equipment, logistics disasters (late flights, last minute agenda changes) and even attendees and speakers gone rogue. 4. Have the right team in place, right structure, the right mind set, the right sales and marketing and belief in your brand, product or service. 5. Be different and don’t think you are competing with anyone. Event of Champions is definitely different, 2 ½ days of life changing information with globally recognised speakers and trainers whose sole purpose is to help entrepreneurs build, sustain and develop a global brand. I know there are other very successful events out there, but my job has always been to be people focused. Today we have people across the globe asking us to bring Event of Champions to their country. My goal is to make Event of Champion events a household name by 2025. Global exposure, profitable partnerships, increased PR, launching in countries around the world – this is what is possible for an entrepreneur or company who decides to use Events, Key Note Speaking and Social Media to Increase their PR & Profits. As an entrepreneur or company, if you are not yet using key note speaking, networking or even organising and running industry events, perhaps now is the time to give these a try. If you would like to know how you too can increase your PR & Profits, arrange a free 15-minute strategy session with us.